If you are among the many Canadians and Americans that have been complaining about the incredible cold this winter, experts are saying that it is with good cause! In fact, this is, on record, the coldest temperatures that the US and Canada have seen in 24 years! Even the Canadians, stereotypically known for their ability to handle the cold of winter aren’t prepared for this one. On December 28th experts reported that Ottawa was officially the coldest capital city in the entire world. Statistically, this title has been held by Ulan Bator, Mongolia in the past. However, this year that has been far from the case! 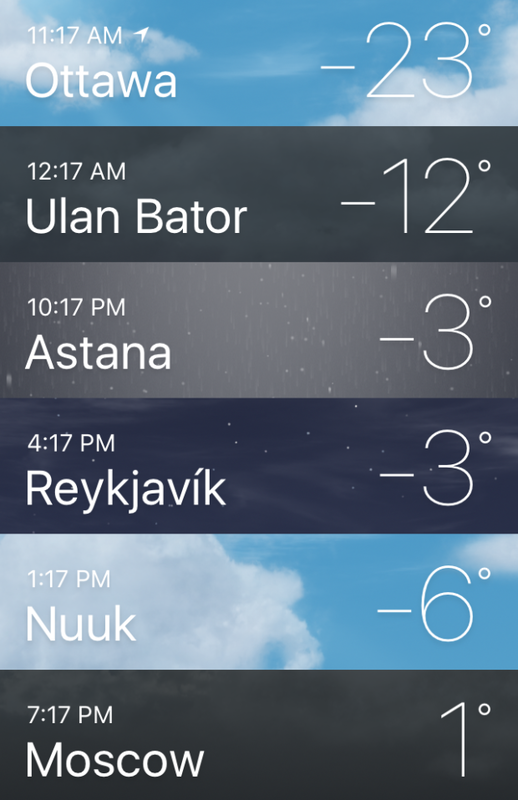 On the day in question, the temperature in Ulan Bator dropped to an overnight low of approximately -26C in Ulan Bator. The same night the low in Moscow was 2C, and -13C in Astana, Kazakhstan. The temperatures dropped so low that there have been reports in the coldest areas of both Saskatchewan and Alberta of windows cracking from the temperatures, and the Atlantic White Shark Conservancy is reporting that a significant number of thresher sharks have been discovered washing up on the shores of Cape Cod, having died from ‘cold shock’ due to the incredible cold that has impacted the water temperatures. 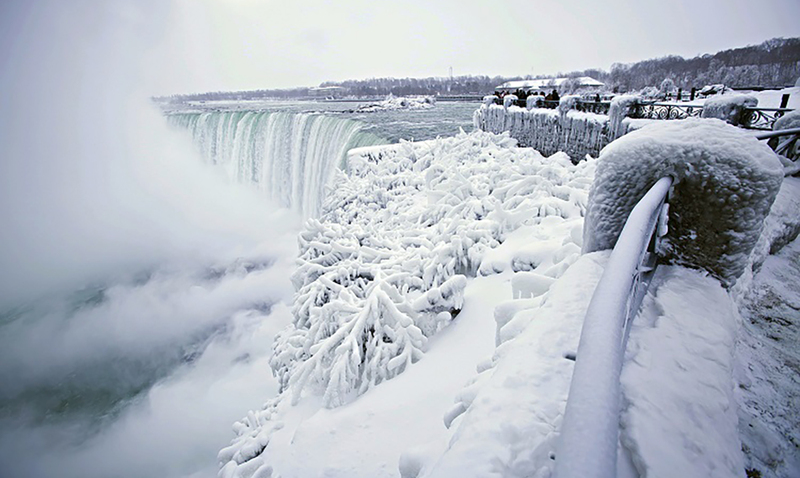 Incredibly, this cold snap can be seen across the three waterfalls at Niagara Falls, with parts of the falls actually freezing from the extreme cold. This is significant not only due to the popularity of the falls as a tourist attraction but also due to the role of this area in energy production. On average the falls have a production capacity of 2.4 gigawatts, making it the largest producer of electricity across the entire state of New York. In response to the cold temperatures, Environment Canada has issued a warning for a good portion of the country, advising that citizens take the necessary precautions to protect themselves against the very real side effects of exposure to extreme cold temperatures, and hypothermia. Symptoms of hypothermia from prolonged exposure to cold temperatures include shivering, weak pulse, slurred speech, shallow breathing, clumsiness, drowsiness, confusion and memory loss. If you believe that you, or someone else that you are with, is at risk for hypothermia it is recommended that you consult a medical professional at the first possible opportunity. With no relief is reported in the near future, experts continue to monitor the arctic cold front that is currently dominating the continent. Residents hope that there is relief on the horizon.